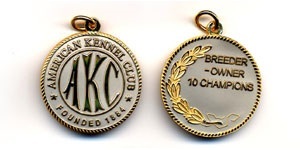 In recognition of those who have been the breeder-owner-handler of ten different dogs that have become champions of record and received an original Bred-By Medallion through their participation in AKC Events. The Breeder of Merit Program honors breeder/ exhibitors' dedication and hard work as they continue to produce dogs that are healthy, capable, and beautiful. The foundation of today's AKC, Breeders of Merit have the power to influence, guide, and teach future breeders, exhibitors, and all purebred dog owners. Interested in a Boulder Vizslas' puppy? Please fill out this form if you are interested in a Vizsla from Boulder Vizslas or if you would like referrals to other reputable breeders.